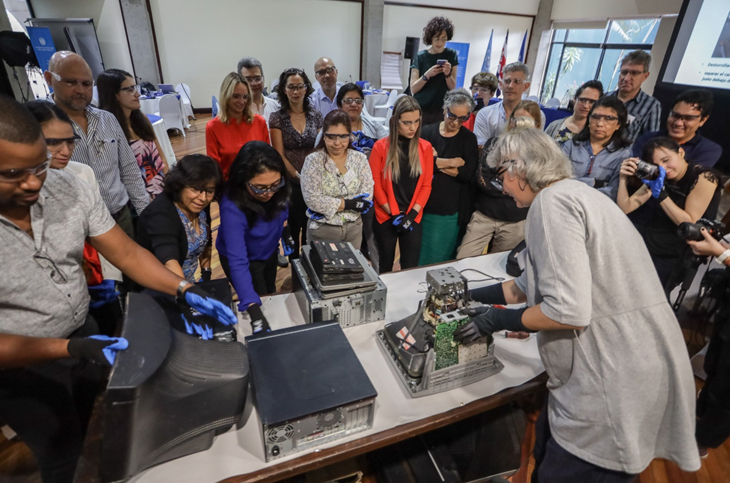 From 17–22 March, over 60 political and technical representatives from 13 countries across Latin America and e-waste experts from around the world gathered in San Jose, Costa Rica, to discuss how to tackle the e-waste landscape in the region. 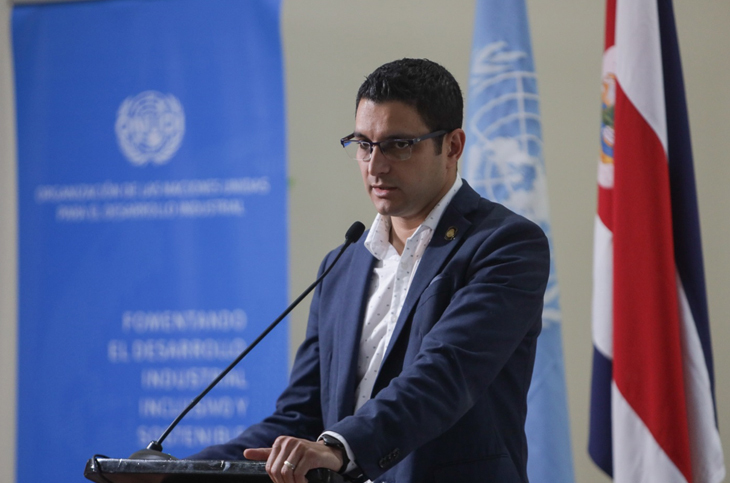 The meeting was part of a UNIDO-GEF project to assist 13 Latin American countries both technically and financially, advising on e-waste policies and regulations, suitable management technologies, business models, capacity-building, and awareness-raising. It coincided with Global Recycling Day on 18 March, an initiative of the Global Recycling Foundation to help recognize and celebrate the importance of recycling for preserving precious primary resources. The E-waste Academy for Managers (EWAM) started on 19 March and included a series of panel discussions and group sessions on topics ranging from legal aspects of e-waste management to logistical issues such as collection and transport of e-waste. In total four E-Waste Academies will be organized by the United Nations University (UNU) in the course of the project. The EWAM is a global forum and training event for stakeholders involved in the practical design and implementation of e-waste management solutions, offering a platform to exchange best practices, discuss existing challenges among practitioners and support better-informed decision-making. It is just one of the examples of capacity-building activities that form part of the project alongside awareness-raising, e-waste policy and regulation advice and financial advice, among other activities. With presentations from renowned international e-waste experts on plastics, financing and more, the Academy also featured a number of practical sessions with participants learning how to dismantle electrical equipment, including a visit to the Global Electric Electronic Processing plant. Several StEP LAC Working group members participated in this EWAM, mainly as instructors. UNIDO collaborates with a large number of organizations on the project, including national governments other organizations and local e-waste recyclers, SC and BC regional centres, the International Labour Organization (ILO), the International Telecommunications Union (ITU), and the Pan American Health Organization / World Health Organization (PAHO/WHO), as well as various other partners, such as Dell, RELAC and the International Solid Waste Association (ISWA).